Many of the patients who visit Stewart and Hull Aesthetic and General Dentistry have questions about cosmetic dentistry. You can find quite a bit of reliable information online, but there are a lot of questions that only Dr. Stewart and Dr. Hull can answer—particularly concerning your own goals for your smile. But keep in mind that new developments in cosmetic dentistry have made many procedures safe, affordable, and worth your consideration. If you have questions about how cosmetic dentistry can improve your smile, restore a tooth, or change a gum line, please call our office. Dr. Stewart and Dr. Hull will give you straightforward answers to your cosmetic dentistry questions. You may reach one of our friendly office staff at 616-784-2377 to schedule a complimentary consultation. 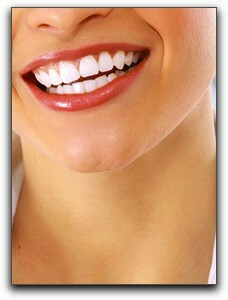 We would love to meet with you and go over what you would like to see with your smile. We can give you an oral assessment to help you decide what procedures might be best for you. We can help you determine the level of cosmetic dentistry you will need to get the smile you want. Sometimes easy can be surprisingly effective. We can often achieve great results with procedures that don’t require a lot of recovery time. Tooth whitening, dental bonding, porcelain crowns and veneers can all work miracles and can often be completed in as little as one or two visits.